Learn how to manage your brain and achieve more! 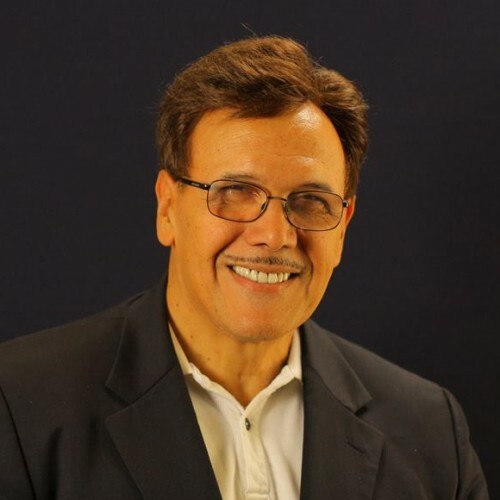 Highly acclaimed Vistage International Speaker Joe Santana will show your audiences how to do everything from building better teams through getting top results with a dose of neuroscience, humor, and practical application. Joseph (Joe) Santana is an expert in helping businesses charge up their performance, grow and thrive. He is a CEO, a Vistage International speaker and Chairman of a major think-tank group, whose members have a combined revenue that exceeds $290 billion. In addition to this, as a consultant and speaker, he works with directly with both small and large businesses to address challenges that block their growth and development. Some of his big company clients include The Federal Reserve, SONY Pictures, Lincoln Financial Group and ExxonMobil. His programs which help these businesses do everything from increasing their markets, making better decisions, hiring better people and fostering stronger more inclusive teams are all based on the practical application of the latest research in neuroscience. As a former executive with Siemens in the United States and a leader of a 300 employee outsourcing and consulting group in the Greater New York City area, he learned how small strategic changes based on a clear understanding of practical neuroscience could have a huge impact on success. Taking on a struggling outsourcing operation during a time of marketplace disruption, he proved this point by regularly growing its revenue by 17 to 50% every year. After leaving Siemens in early 2012, he went on to become a speaker, consultant and executive group discussion leader focused on teaching others how to apply these same practices to grow their businesses and address their most pressing challenges. As a speaker, his delivery style is highly interactive and encourages a lot of audience participation. He is also one of those rare speakers that is as engaging in a virtual online setting as he is delivering in person. Past attendees of his programs often comment on how enjoyable and dynamic, while at the same time highly insightful and practical they found his presentations. For more about Joe, please click here to visit his LinkedIn profile. If you would like to get a sense of his interactive personal style, check out his speaker video. Find out more about Joseph (Joe) Santana at https://www.linkedin.com/in/joesantana/.